2 sheets of pie crust prepared or make your own. Roll out one crust…lay slices of tomatoes all over the crust about 2 fingers apart. Place a spoonful of the blended herbs, cream cheese, and other cheeses on top of the tomatoes. Salt and pepper to taste. add another sprinkle of cheese over the top of the tomato. Gently place the top pie crust or pizza crust over the top. Seal all the way around. Take a drinking glass and gently cut out each bump of tomato. 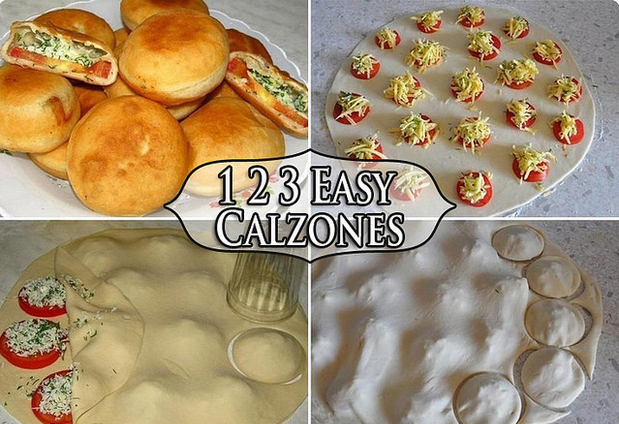 Make sure each round Calzone is sealed. Use a little egg well beaten to ensure seal. 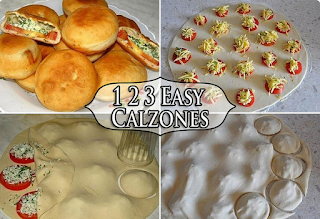 Give each Calzone a bath of garlic and melted butter then drop gently into hot grease until they brown or float to top…(You could also bake at 375 until brown. Serve with a good marinara sauce.